We often don’t think of the term chronic when we talk about sensory processing disorder. But it is. Chronic illnesses really do take a toll on everyone. They can get better over time, and that’s certainly what I’ve watched with my son after a lot of hard work on all of our parts. He has gone from hitting, biting, head butting, throwing and screeching on a daily basis to being a much more calm and in-control kid. However, the moment I let my guard down about SPD or forget about it for a moment, it still rears its ugly head. But to much of the outside world, my son seems just fine. He’s social. He can talk to people. He laughs. He plays on the playground. So what is there to see that’s wrong with him? What they don’t see is the child who has an absolute meltdown at the thought of entering a pool that is slightly chilly, of having his body washed with a wash cloth of having pajamas askew — making him burst right out into tears. 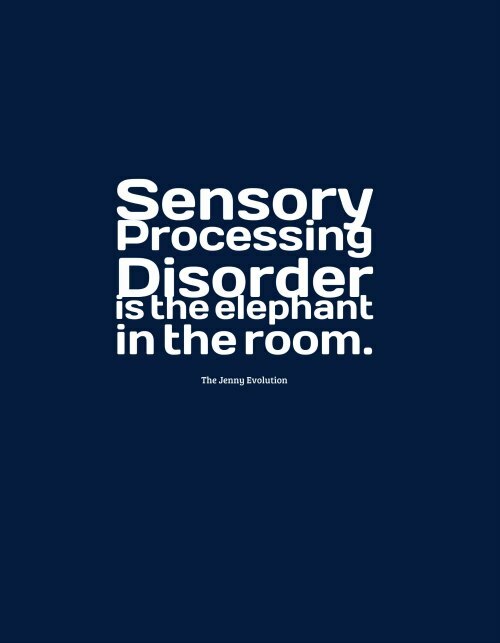 Sensory Processing Disorder is the elephant in the room. Coming out and declaring it on the Internet made me nauseous because I’m afraid of the judgements I might receive from other people having been judged my whole life for having an “invisible” chronic illness. 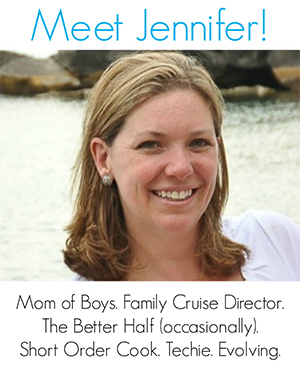 There have to be thousands of other mothers who worry about the judgements they will receive. We all ask ourselves, should we tell our parents? Should we tell the school? Should we tell our friends? But only by talking about these things can we actually take away the stigma that (1) we carry within ourselves and (2) other people place on sensory issues. Whether it’s SPD, Aspergers or Autism, just because you can’t see a cast or a wheelchair doesn’t mean this neurological issue isn’t there. It’s been heartbreaking when people question what’s going on with my son. When they question what kind of problems could he possibly have because there isn’t some waving red flag. Just like it’s crushing for me when people question me about my allergies. I don’t enjoy getting sick all the time. I don’t enjoy feeling rundown. I don’t enjoy having to take powerful steroids to manage the inflammation in hopes of skirting yet another sinus infection. What must it be like to be my son? I have to image he doesn’t enjoy the feeling of that cool water on his skin. He doesn’t enjoy having people randomly come up and touch him or being told to hug them. He doesn’t enjoy the unbelievably loud noises in public restrooms that make his ears feel like they’re going to bleed. There are lot of sensory things that he not only doesn’t enjoy but experiences as painful. One thing he should be able to enjoy are people believing him., people understanding him, and people not questioning how he is feeling, because his feelings and perceptions are real. When I put this on the web, I understood my worries don’t have to do with him; they have to with me. And so, as a mom, I’m still working on that. I’m still working on being truly authentic not just within myself but outside of myself with other people. Just like I pulled off the band-aide yesterday and told the world that my son has SPD, I’m going to quell the fears I have. Because to be honest it doesn’t matter if other people judge me. It doesn’t matter if other folks don’t believe me. What matters is that I believe my son, and I’m willing to fight for him. Yay for you! I have transparency issues meaning that my husband says that I am too transparent about everything. But when I read this I realized that I have never really blogged about it yet? We have two seven year old girls with SPD and it is so hard. Sometimes I can actually see their pain when a toilet flushes or the music in church is too loud or one of them insists that all of her clothes are too itchy and she has worn the same outfit for 4 days already:) So thank you for doing this and I will follow you and write about it also! We need to talk more about it so others will feel comfortable as well, educating family and friends about it is super hard but necessary:) Hugs!!! Thank you! As a mom who has a 3 y/o with SPD it has been the elephant in the room. We all see him meltdown, go into extreme tantrums with uncontrolable tears…..our family tells us, he just needs more discpline etc…Why don’t we just name what it is vs. being just this naughty kid that manipulates etc… I have named it will my own family and friends and people are helpful, share their own experiences and desire to really learn. My husband on the other hand (who is a PT by the way) has not named it with his familyand I have taken the hard stance to leave the enviornment when comments are made. I have to protect my son….I wish my husband would come on board as it would make my job easier as a parent of a child with a “chronic illness”. God Bless and thank you! Unless you have been a parent to a kiddo with SPD, you cannot fathom the anxiety and pain. Something as simple as a birthday party can be an absolute nightmare. I finally quit explaining why my kids had to leave before everyone sang loudly and clapped. Things would only go downhill after that. And yet, when things are okay, your kiddo looks normal. So you feel like it is you, the parent…. Except it isn’t. The more you learn, the easier it gets, though it is never easy. At least you doubt yourself less, because the sensory issues rear their ugly heads and NOW you have a clue how to make it better instead of worse. Thank you for the post and the Replies, our journey with SPD has just started and it’s been really difficult. Not only for my three year old son, but for my husband and me too. Finding this blog has been a blessing. Thank you for your post, I have 2 children with SPD, we thought it was just our youngest and even our paediatrician told us it was a discipline problem and we still struggle with him to understand. She was 3 when we saw the OT and after 1 appointment we were able to brush her hair for the first time. Last September we took our eldest to the OT since her food issues and anxiety were out of control. Then we found out she also had SPD, and although her younger sister is the tantrum, biting, hitting, wearing long sleeved clothes and not wanting to be touched, my eldest is very quiet, kind but very “sensitive”. I am very sheltered, spend my days at appointments with the girls and I work at night. Very little support except my wonderful husband. Want to turn and run the other way when other parents are present and get the “well at least they are healthy” comment which makes me run even faster! Well done for being brave to shout it out. I am so tired of trying to explain to people and family, to have them judge me and how I try to get through each day. It is such a lonely place sometimes ….. I have discovered that the best support I get is from Sensory Mamas on the web. So, thank you for sharing your experiences and making me feel normal too, lol. When you wrote, “I understood my worries don’t have to do with him; they have to with me,” I said to myself- BAM! She’s got it! I’ve had to turn my mind around when it comes to what other people think about my son, his behavior, his school performance/ issues, etc. I have been very lucky to have come across some wonderfully intuitive people, who have been able to show me and teach me about my son’s amazing gifts. And with my guy, I now know that with his being extremely right brained, the way we currently educate our children doesn’t work the best for him. I now realize that when it comes to his difficulties in school, HE is not the problem. They are not teaching to how he learns. (You can see where we’re at now). So, he has a 504 Plan to help him. 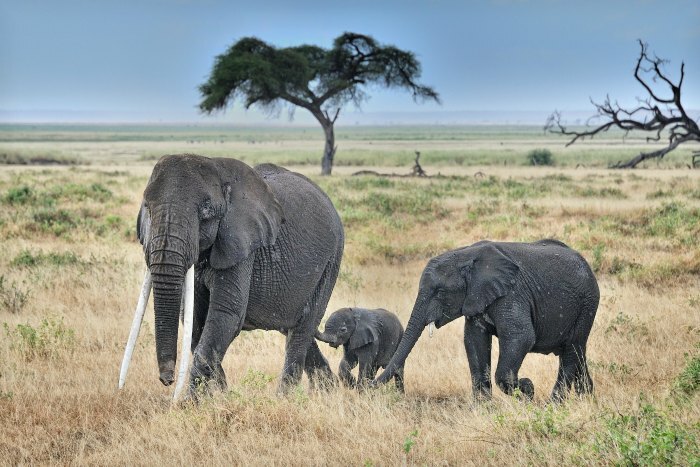 So, no more white elephants! Put it out there. Sure, people won’t get it. So what? I see, at least in my life, that we’re all here to educate the masses about our special little people. I have educated friends, family, and my son’s teachers (one by one). Go forth and share information! the weight of getting people to understand what they don’t see is a heavy burden that I wish I could be rid of… I hope the ‘someday’ comes soon…. Hi, Im so glad I’ve just stumbled here from FYBF. Our younger is not autistic but has a big deal with SPD. We begged for help from the moment he was able to crawl. His level though is he HAS to touch, has to seek out an abnormally high level of sensory feedback. Then he overloads and has a meltdown. Then he cries and needs cuddles and reassurance that he’s not a bad person. We’ve just finished an O.T assessment and we are armed with hints for the classroom, I hope people listen because time-out punishment is very cruel on any child with SPD let alone a 3yr old in Kindy. Sorry, oops! This wan’t meant to happen and I can’t delete it, please do. I think when people post stuff like this up…it helps others…and you know what that’s the main thing! How fascinating. I was not aware of this. It’s great that you’re getting it out for others to see that they’re not alone. Bravo to you. I think it’s so important that you overcame your concern over discussing this and did it for your son. First of all it’s a beautiful motherly deed as is evident from the closing sentence, but secondly I think it’s important to talk about it mostly for the sake of those who may not be judging or dismissing your son’s condition but who are not fully aware of what it means and how to be helpful. I hope no one will judge you for this post (kind of hard to believe someone will, as this post explains so clearly the struggles of your child) and I hope that many learn from it. I still remember my friend Jen at My Skewed View’s post on her son’s SPD and it was enlightening for me as I never fully knew what it had meant. All the best to you and your son! I can’t imagine how difficult it is to battle our lack of understanding of your son’s disease. You’ve educated me with your honest sharing of the details. It looks like you’ve also spoken for other parents who have children suffering from the same circumstances. You make a difference and that’s saying a lot! I know this is a pretty old blog post, but I just found your blog and am so excited, maybe excited isn’t the right word. I am just encouraged to be able to read your story and be encouraged. I have a almost 3 year old son who is in the process of being diagnosed with SPD.